Your hair is made of keratin, a strong protein, which contains sulfides. When sulfides bond together, they form a disulfide bond that creates a kink or curl in your hair structure. The curliness of your hair depends on how many of these bonds you have. Chemical relaxers break your hair’s disulfide bonds and reset your ‘kinks’ permanently into a straighter alignment. Relaxing your hair can help boost your confidence by making unruly, wavy hair easier to style and wash. However, relaxing can potentially damage your hair butthere are ways to minimize these damaging effects. Chemical straightening or relaxing treatments work in the same way as a reverse perm, however instead of using the solution to curl straight hair, it’s used to permanently straighten curly hair. Hair relaxers are available in two types: lye and no-lye. Chemical straightening is potentially more damaging than perming: the solution is put on at scalp level and the hair is gradually pulled straight with a special comb, when sufficiently straight is ‘fixed’ in this shape. It’s most commonly performed on Afro-Caribbean hair, and here some of the worst cases of hair breakage occur unless great care is taken. 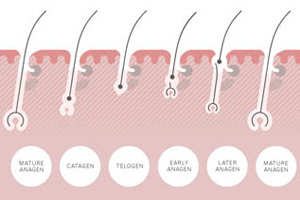 Straightening is done more frequently than perming, approximately every 6 to 8 weeks, so the risk of overlapping previous processing is considerable. It’s this overlapping that causes the most problems. However, while the relaxing process is damaging, in the long term it may be beneficial to your hair’s condition. Once your hair is straightened, none of the other harmful procedures, like hot oil, pressing, pulling, flat irons, and hot combs are needed. It’s also much easier to wash and then style your hair and frequent washing is highly important to your hair and scalp health. But benefits only apply if the treatment is done every few months (16 weeks), and not every 6 weeks, which is too often and your hair can only tolerate a certain amount of chemicals before it breaks. Chemical relaxers can cause terrible damage to your hair and scalp if applied in the wrong way. You should always have chemical straightening done by an experienced technician who can carefully monitor the process, and ideally use someone who has been personally recommended by a friend or family member. The technician applying the relaxer should also be aware that the temperature of the room can increase the speed of chemical reactions, working faster on a hot day than on a cold day. This is another reason why monitoring is essential every time your hair is relaxed. The chemicals used in relaxing treatments are very strong and must be applied at scalp level to have the desired effect. If done incorrectly, you can get chemical burns on your scalp, and this can result in infection, scarring and permanent hair loss. Chemical straightening leaves your hair more vulnerable to damage and breakage, so it is essential to have consistent and regular intensive conditioning treatments to restore moisture to the hair. Try to deep-condition your hair twice a week for 2 weeks prior to relaxing, and then once a week thereafter. 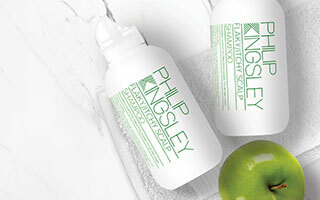 There are some excellent deep-conditioning products available, such as Philip Kingsley Elasticizer Extreme, and it’s best to use one of them rather than to make your own. Avoid relaxing treatments if the skin on your scalp is inflamed or broken. If your scalp becomes inflamed or irritated after straightening, apply a solution of cold milk and water in equal parts, which should help to soothe it. If the irritation continues, you should consult a trichologist or dermatologist. Relaxing previously unprocessed or ‘virgin’ hair rarely results in disaster. However, in our Trichological clinics we have seen in many cases that straightening previously treated or straightened hair can do a great deal of damage, especially at the ends. A good way to avoid this is to protect the ends with a heavy fat such as unsalted butter before the straightening solution is applied. 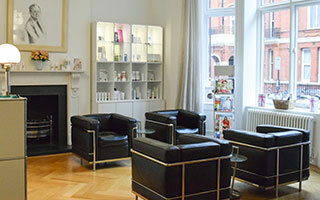 If you would like to find out more about caring for relaxed hair our clinics based in London and New York specialise in hair and scalp treatments.